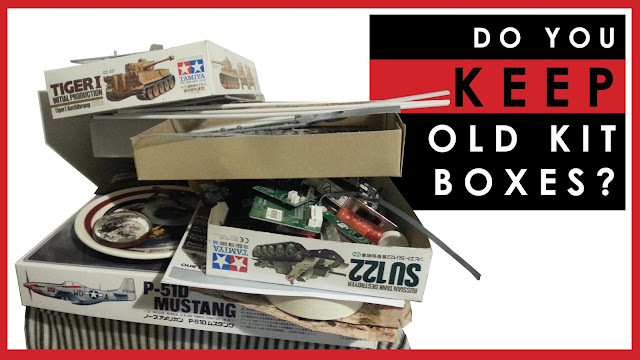 Dave's Model Workshop: Do you keep the old boxes from scale models you have built? Do you keep the old boxes from scale models you have built? I was going through some old kit boxes, looking for spare bits and bobs and any unused pieces left on the sprues, when I realised that I keep a large number of old boxes from kits I have previously built. They are large, they clutter the place up, and get in the way of important new kit storage in my stash. Am I the only one who hoards these old boxes? 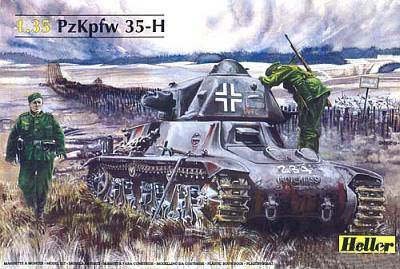 Last night I took the plunge and went to throw away one box, a 1/35 Heller Pzkpf 35-H (a reboxed Hotchkiss H-35 from the 1990s). I built this tank way back in 2007, so I've been holding on to this box for ten years. It has moved house with me twice in that time. And the kick is, I have always really hated the box art ever since the day I bought it. Pictured: Plug-ugly box art. That really is nasty. Why did I keep this? Don't get me wrong, I'm all for keeping sprues from finished models which contain pieces that weren't used in the build - amassing a collection of these bits and pieces over time is essential, they are worth their weight in gold. But the boxes are another matter entirely. I made a video on the subject, and loaded it to YouTube. The first comment, from Panzermeister36, mentioned that he keeps old boxes as they sometimes have good memories associated with them. I had never consciously thought of that before, but it is true, when I handle an old kit box I do remember the build, so maybe that is part of it. Perhaps a larger part of it is that I tend to be a hoarder, something that my partner likes to regularly point out. I can't deny this. But I'd like to hear from you lot: do you tend to keep old boxes? Or are you ruthless and get rid of them? Do you keep the boxes of scale models you have built? Yes, I would keep the old boxes. Just the same as I keep the books I buy. You end up with a nice little (?) "library". And I do re-read a lot of them. You pick up on the lessons you've learnt and just like a photo album, a very good reminder.